1 x Western Union Sleeve Sponsor - Player Size (for Liverpool FC 2017/18 Sleeve Sponsor) .. Authentic Sporting ID The F.A. Premier League Patch Champions 1999-2000 - Player Size​ (per pair) Fo..
As the club defend their UEFA Champions League and La Liga titles, they look back for inspiration fr.. Introducing the new Arsenal 2017/18 Short Sleeved Home Goalkeeper Shirt. Following on from the p.. Authentic Sporting ID Barclays Premier League 2004-2007 Patch - Player Size .. The Real Madrid 2017-18 Goalkeeper Shirt replicates the #1 kit worn between the stic.. 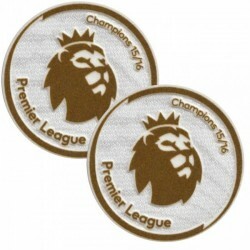 Authentic Sporting ID Barclay Premier League Patch Champions 06/07 - Player Size​ (per pair) For Man.. Authentic Sporting ID Barclay Premier League Patch Champions 10/11 - Player Size (per pair) For Manc.. Authentic Sporting ID Barclay Premier League Patch Champions 12/13 - Player Size (per pair) For Manc.. Authentic Sporting ID Barclay Premier League Patch Champions 13/14 - Player Size (per pair) For Manc.. Authentic Sporting ID Player Size Barclay Premier League Patch - Pro-S (per pair) ..
From Anfield’s Shankly Gates to the world’s largest stadiums, since 1892 The Reds have stepped o.. Authentic Sporting ID The Premier League Champions Patch 2016/17 - Player Size (For Leceister City 2.. Authentic Sporting ID The Premier League Champions Patch 2017/18 - Player Size (For Manchester City&.. Authentic Sporting ID The Premier League Patch 2016/17 - Player Size Package contain: 2pcs (1pair.. 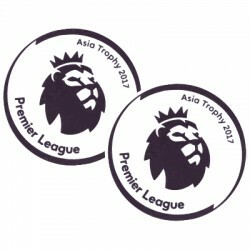 Authentic Sporting ID The Premier League Asia Trophy Patch 2017 - Player Size Package contain: 2p.. 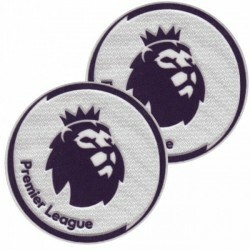 Authentic Sporting ID The Premier League Patch 2016/17 - Fans Size Package contain: 2pcs (1pair) .. The Manchester United Away Goalkeeper Shirt 2017-18 mirrors the steadfast image of the club..
Support the Nerazzurri in their Serie A campaign with the Inter Milan Third Stadium Shirt 201..
Take to the field in the same, high-end professional playing shirt worn by La Liga and Champions L.. In a bold yellow colour, the Atletico de Madrid 2017-18 Away Stadium Shirt delivers ..